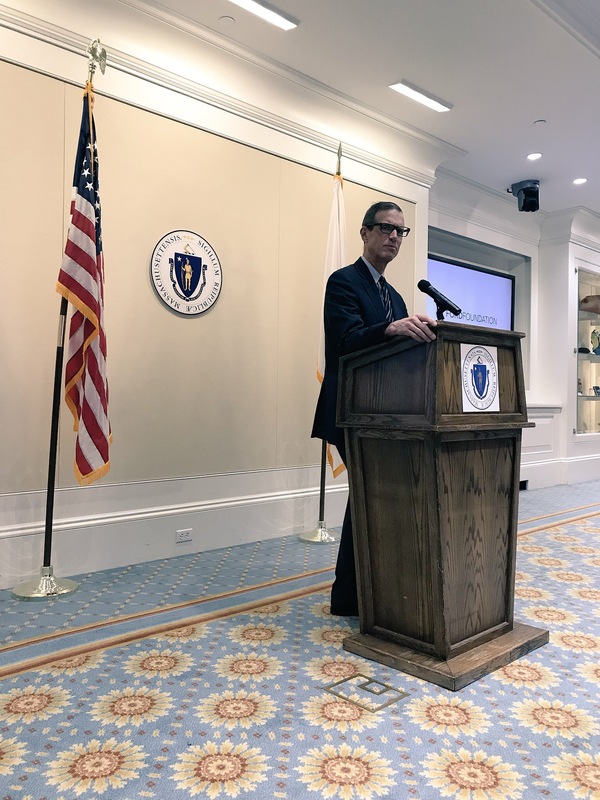 In recognition of the 55th Anniversary of the U.S. Supreme Court’s landmark decision in Gideon v. Wainwright, CPCS held an informational forum for Legislators and their staff on Gideon and the right to counsel at the Massachusetts State House on March 20, 2018. Although a majority of those attending were staff, several legislators, including State Rep. Joan Meschino (D-Hull), State Rep. Jack Lewis (D-Framingham), and State Rep. Chynah Tyler (D-Roxbury) were on hand for a portion of the day’s event. 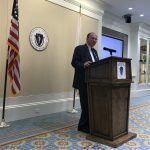 attending and recognized guest speakers, SJC Chief Justice Ralph Gants and Senate Judiciary Chairman William Brownsberger (D-Belmont), for agreeing to share their perspective on why the right to counsel is so important. Both speakers focused their remarks on quality counsel and why it is necessary if we are to fulfill Gideon’s promise. 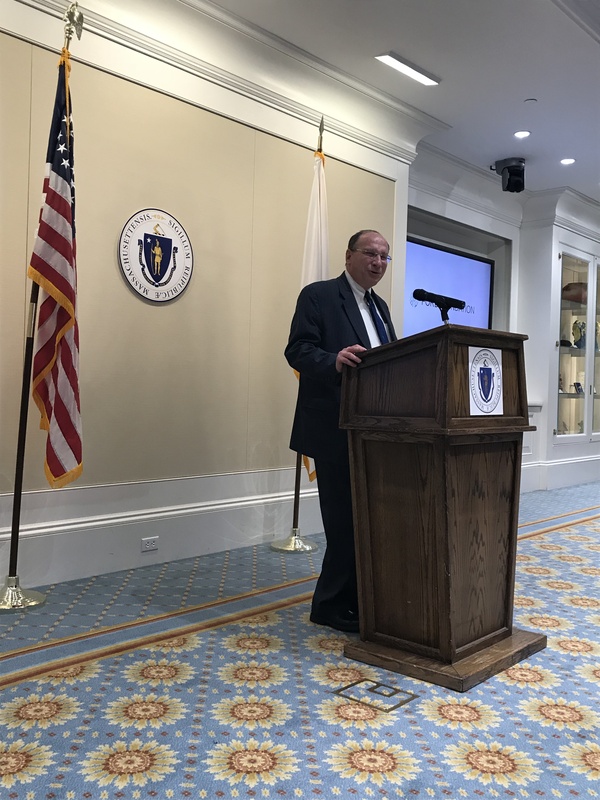 Chief Justice Gants explained that expecting attorneys, both public and private, to accept cases for inadequate compensation leads to a dearth of quality counsel. 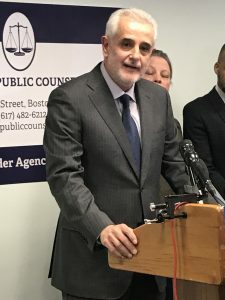 He called attention to the fact that public attorneys who represent the liberty interests and rights of the Commonwealth’s indigent do not make nearly as much as Executive Branch attorneys who do important work, but who do not face the same burdens and complications as public defenders, especially risking a client’s freedom. Sen. Brownsberger spoke to his personal experience as a member of the private bar who accepted indigent cases and the difficulties attorneys face, including the lack of trust clients have for most public and private assigned counsel when their they are first assigned. 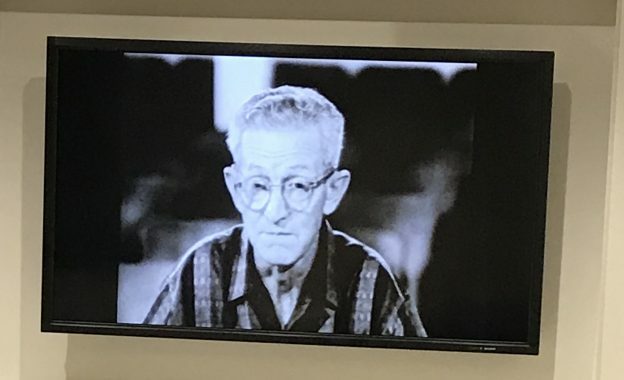 Before showing the film, “Defending Gideon”, Chief Counsel Benedetti gave a brief history of the right to counsel in Massachusetts, noting, “In Massachusetts, we have unwaveringly upheld this freedom far longer than most other states with the right to counsel having a long and legendary history. When Gideon was decided, the belief that the right to counsel is fundamental was very old news in the Commonwealth – by nearly 200 years.” He took the audience from 1770 Colonial Massachusetts with John Adams and the Boston Massacre to 1963 and the Commonwealth’s direct involvement with Gideon because of Massachusetts Assistant AG Gerald Berlin’s amicus brief in support of Mr. Gideon and the right to counsel. This entry was posted in Chief Counsel's Office, General Counsel's Office and tagged Events on March 28, 2018 by dsimonini. This entry was posted in General Counsel's Office and tagged press on March 16, 2018 by dsimonini. 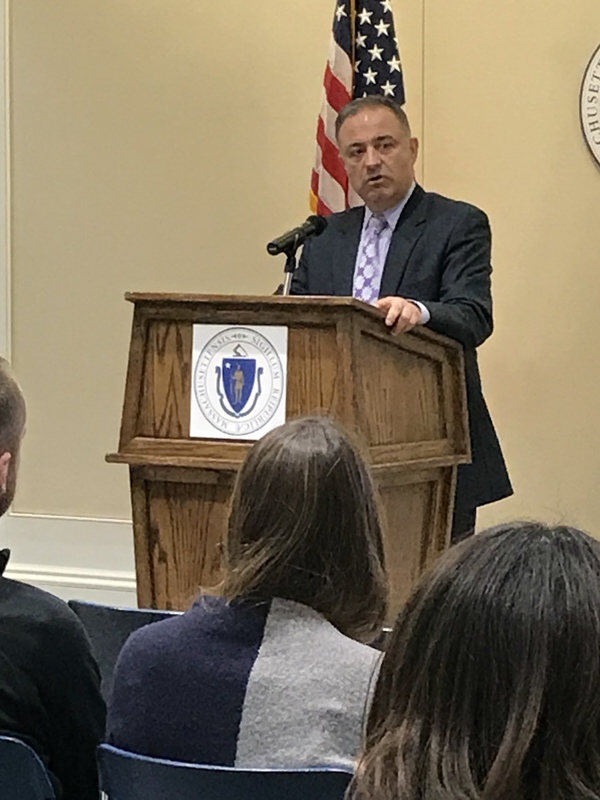 The CPCS Innocence Program led by CPCS Attorney Lisa Kavanaugh was one of several sponsors of the Massachusetts Wrongful Conviction Day held at the Massachusetts State House on October 2, 2017. Supporters of amending Massachusetts law relative to wrongful convictions and forensic science evidence assembled at the State House to educate members of the House and Senate, their staff, and the public on the causes and remedies of wrongful convictions and the tremendous personal, social, and emotional costs wrongfully convicted, innocent people and their families endure. The event, which took place on International Wrongful Conviction Day, featured a variety of speakers who appeared at intervals throughout the day and were followed by a brief film made by students of the Harvard Law School Criminal Justice Policy Program and filmmaker and Harvard Law School Lecturer Rebecca Richman Cohen – Racing Horse Productions. The film, which concentrates on the need for forensic justice, highlights the experience and struggle of exoneree Victor Rosario. To view the film visit: https://vimeo.com/218886228. 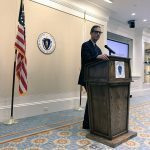 Presenters included State Senator Patricia Jehlen (D-Somerville), State Senator William Brownsberger (D-Belmont) and recent Massachusetts exonerees, Fred Clay and Victor Rosario, clients of Atty. Kavanaugh, who poignantly relayed their own wrongful conviction experiences. Both served more than 30 years each in prison for offenses they did not commit. “Wrong became right, after I spent more than three decades of waiting for science to catch up,” expressed Victor Rosario, 2017 Massachusetts Exoneree. Also presenting were family members of exonerees who explained how wrongful convictions disrupted their and their families’ lives. 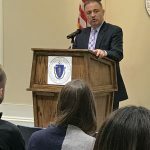 The legal community and forensic science and wrongful conviction experts from sponsoring organizations provided details of what is currently happening with wrongful convictions and in the world of forensic science, and addressed the changes that are needed. In addition to CPCS and the CPCS Innocence Program, sponsors of the event were the New England Innocence Project, the Boston College Innocence Program, and the Harvard Criminal Justice Policy Program. Forensic Scientist Steve Laken, PhD. This entry was posted in General Counsel's Office and tagged Event on December 12, 2017 by dsimonini. 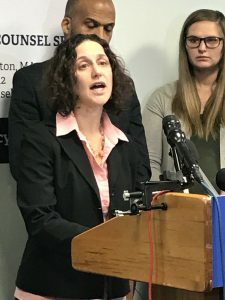 The Committee for Public Counsel Services and the American Civil Liberties Union of Massachusetts held a press conference on Thursday, November 30, 2017, in anticipation of the District Attorneys dismissing thousands of cases linked to Amherst State Chemist Sonia Farak’s criminal misconduct. CPCS Deputy Chief Counsel Randy Gioia and CPCS Atty. Rebecca Jacobstein were among those who addressed the media. Deputy Chief Counsel Gioia’s and Atty. Jacobstein’s full statements can be read by clicking here. Others who participated in the November 30th press conference were ACLUM Executive Director Carol Rose, ACLUM Legal Director Matthew Segal, ACLUM Staff Attorney Carl Williams, and Nicole Westcott, one of the thousands of individuals who were impacted by Farak’s tainted evidence. To read the various press articles on this matter click: Farak – Press Coverage Articles. This entry was posted in General Counsel's Office and tagged press on December 1, 2017 by dsimonini. This entry was posted in Chief Counsel's Office, General Counsel's Office and tagged press on September 21, 2017 by dsimonini. Below is a link to a PDF of the piece in Lawyers Weekly from Max Stern and Michael Keating. This entry was posted in General Counsel's Office and tagged press on June 21, 2017 by dsimonini.